After over 20 years of leadership Oklahoma University will gain a new President. President Boren was rumored yesterday to have been stepping down from his position as President. The Chad Alexander show discussed with Todd Tucker wednesday morning about Boren’s plans, and several OU fans were not ready for the announcement. He said he plans to step down June 30th after the school year is over, and if there is not a successor for his position then he will stay. 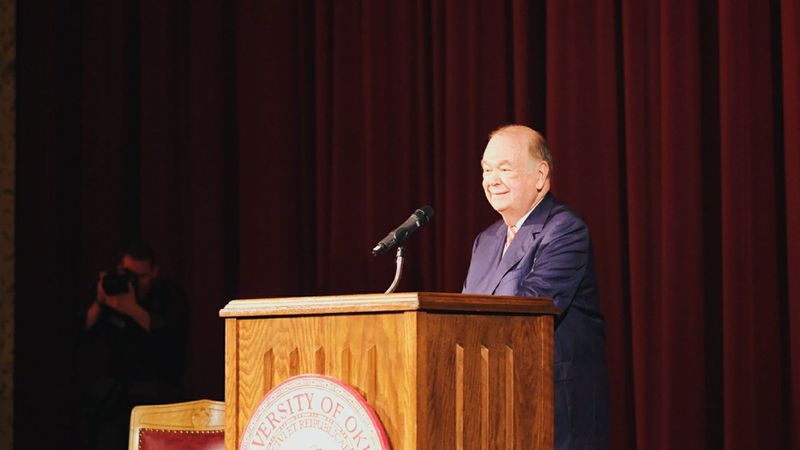 Later President Boren took to Twitter again to thank the many people for making his time at Oklahoma University the best.